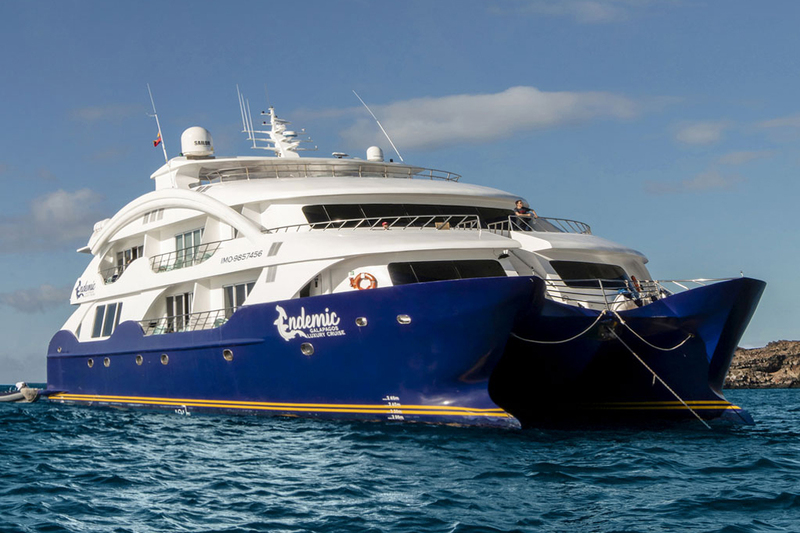 Operating as of July 2018, the Endemic Catamaran is synonymous with elegance in the Galapagos Island with a strong silhouette, warm, intimate, and sophisticated style. It offers the intimacy of a small boat but with luxury and comfort, complemented by personal service and delicious gourmet cuisine. The Galapagos Endemic is a senior-friendly vessel, with relatively few stairs, cabins on the middle, most accessible deck and public areas convenient to the sleeping areas. 8 Double cabins with balcony. 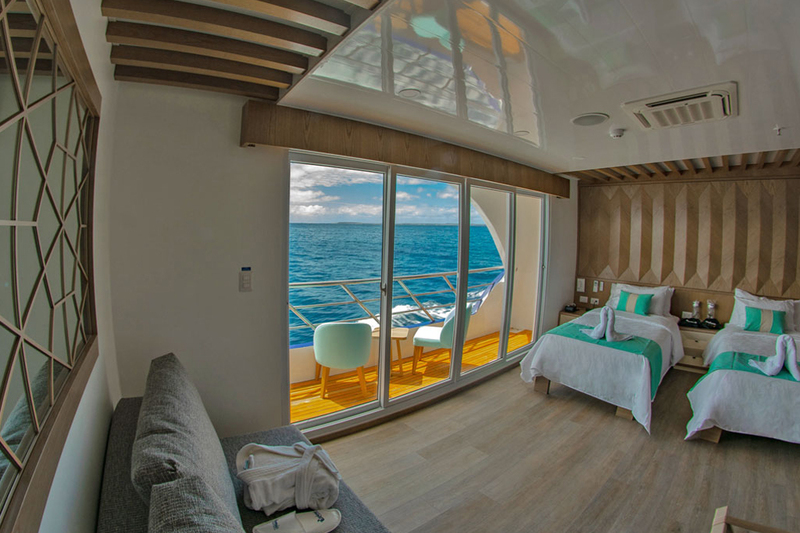 Each cabin has personalized air conditioning control, a balcony, spacious private bathroom and either a king-size bed or two twin-size beds. Naturally, each cabin also boasts closet/drawer space as well as a writing desk and strongbox. 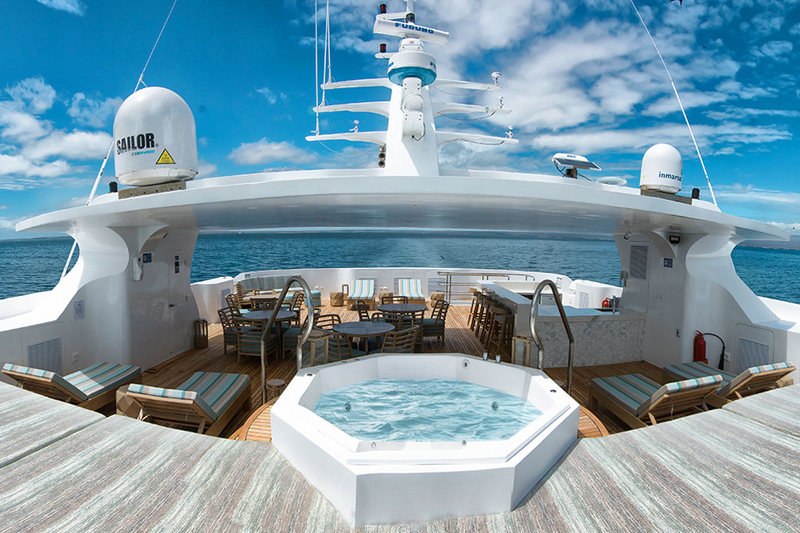 There are 4 suites on the main deck, 4 suites and 1 single cabin on the upper deck.